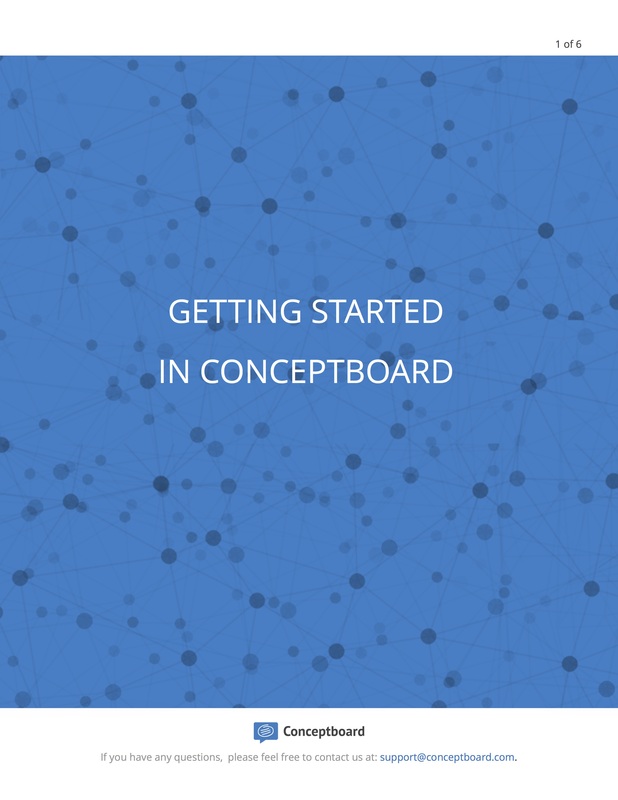 As the number of Conceptboard new users grows, we want to make sure that every new user can pick up the basics of Conceptboard quickly and hit the ground running. After all, the faster you learn how use Conceptboard to fit your particular needs, the more efficiently you can collaborate with your team on visual content and projects! 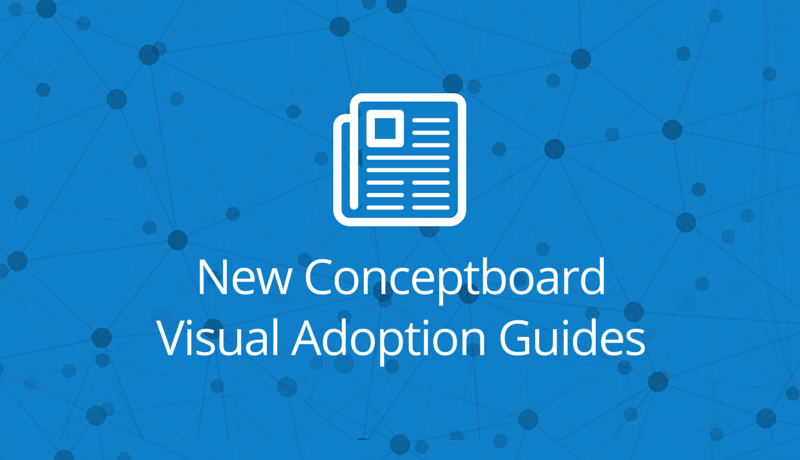 We’re releasing the second part of a new series of visual adoption guides for users, for new and experienced users alike! These easy visual manuals include tips and screenshots to help you and teammates understand and use Conceptboard’s features in the way that best fits within your team’s and project’s workflows. Quick and short guide for brand new users in Conceptboard. We’ve kept it simple and included only the very first steps. Best tips and practices on how to move, how to zoom, and how to comment in the board. Drag and drop this into a board for new users or external clients if you want to! 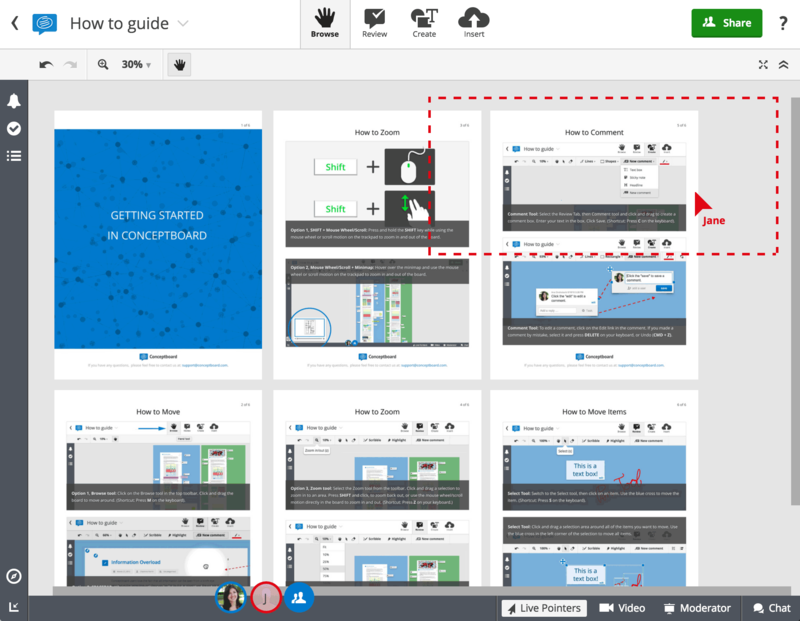 For more information on the Conceptboard features described in the guides, you can visit our Help Center, watch tutorial videos, or find best practices and inspiration on the blog. Stay tuned for more adoption guides! Thanks for the alert, we’ve fixed it now!